I just love the Sleepy Hollow event space in Huntington Vermont. 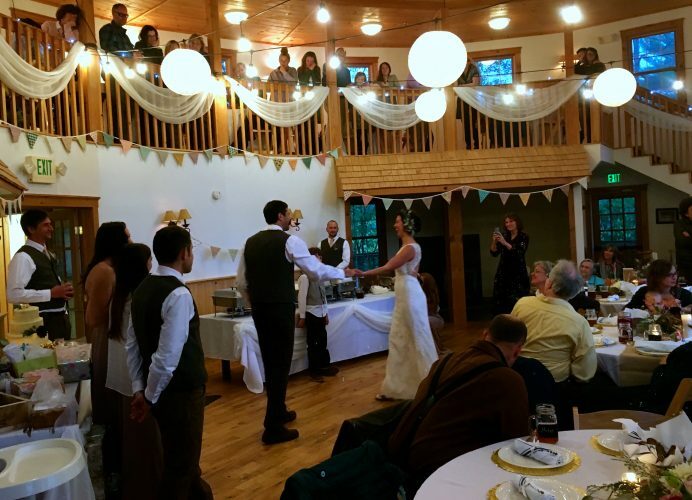 Its got everything, place to stay, pond and gazebo for wedding ceremonies, Pavilion for cocktailing and parties, and a huge two story octagonal building with production kitchen and even a wood stove! Its cozy, remote enough yet close to main roads, beautiful and fully functional function space…ha! 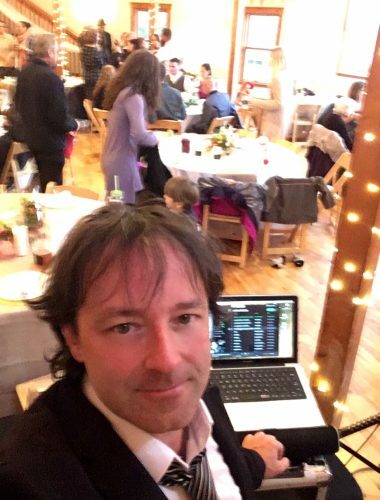 PQ wedding DJ at your service! Naomi was desperately seeking a laid back friendly DJ and MC for her sunday wedding. Its a family affair, budget minded folks, local to the area. I found out Tristan made the fine furniture at the close by (and where i meet a fair bit of my couples) at the Richmond Stone Corral Brewery. Being a family affair, late into autumn it had the potential for a chilly night. We planned on cocktail out in the pavilion but soon after the ceremony the guests piled in the main building and the party started! Easily the most kids of any wedding, usually not recommended by the way, but in this case it was perfect all the families and friends and family coming out to support the love of this exemplary couple. All done within a tight budget, i love sunday weddings! For me the equipment is already packed, may as well have another celebration! 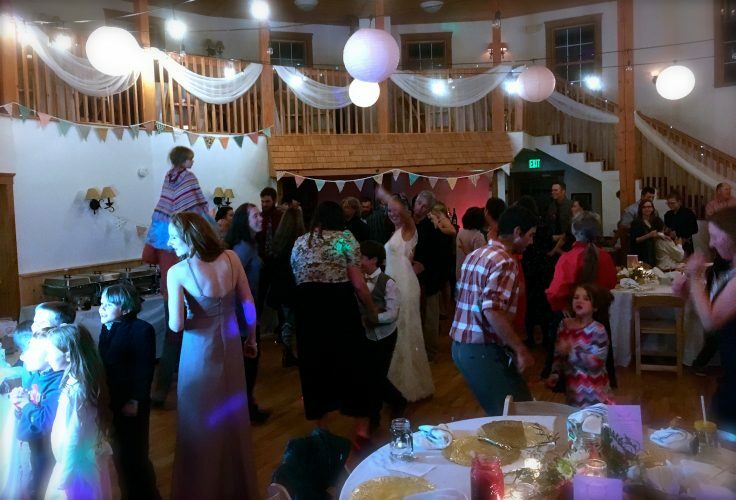 The temps were dropping but we stayed cozy and warm in the main building, the bar ended up moving in after about half the reception was already out…i’m sure the bartenders were freezing and besides, all the fun was happening in the vaulted octagonal space. It was a night to remember, i loved the Photo Booth and the kids did as well, i’m going to be looking into getting one to add to my list of options and services. 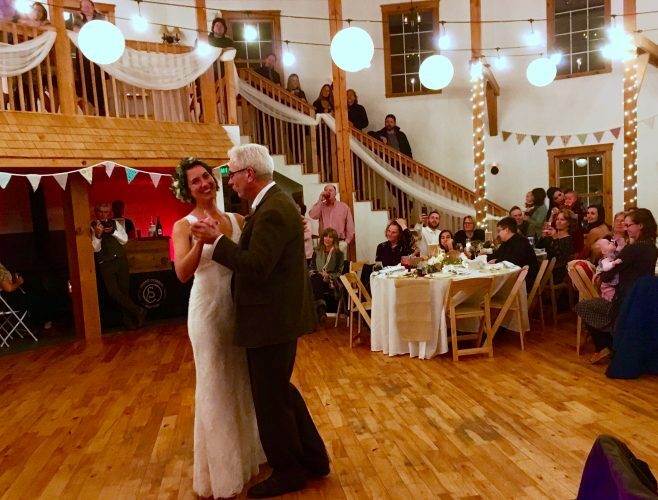 A DIY wedding with tons of food and the best drinks and local beer from the Stone Corral Brewery. This group really loved to dance, and we did just that fielding requests and moving through the amazing best man/lady speeches, the blessing and the special song from the grooms father. 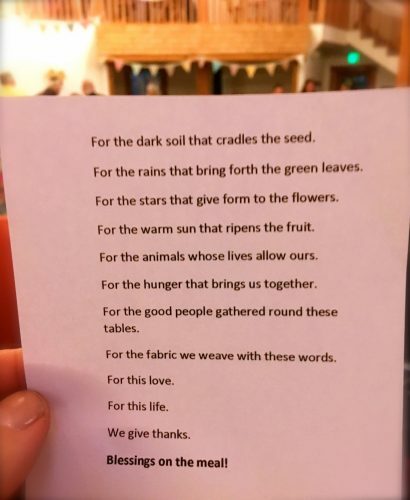 It turns out that a large portion of the “Thanksgiving style” meal was grown and harvested and processed right on the farm that the bride and groom reside. It was delicious, memorable, and very well done indeed! One of my life joys is when at the end of the night I feel the love in the room, the uniting of families, the love between two special people. This was a special way to wrap up my busy 2018, more blog posts and photos and links to come. I wish to help out all the photographers, vendors, venues, bands, and fellow DJ’s so we can all have the best events possible. Thank you all for your continued support and trust in me for your events technical, musical, memorable, visual, sacred moments. It is was my pleasure on this day and every day.